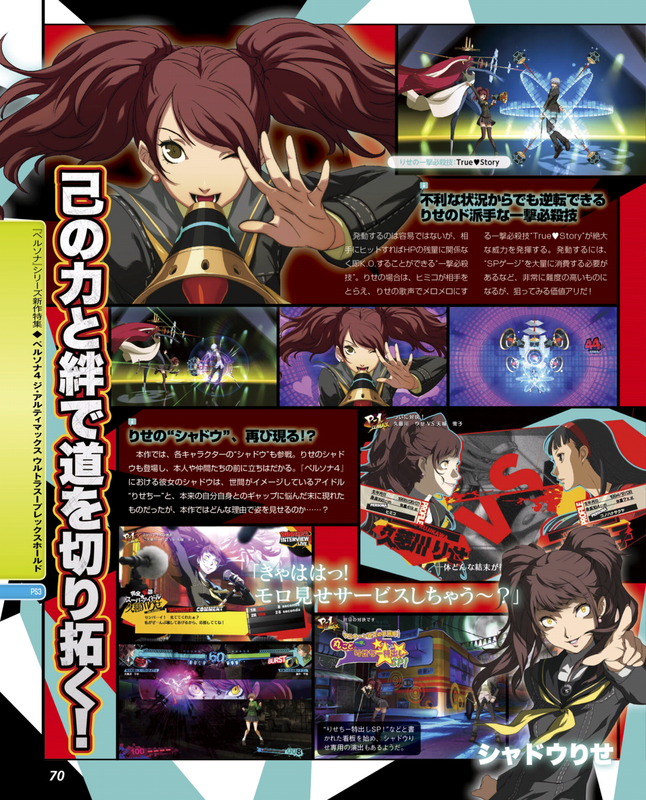 STORY: P4A Ultimax's story is set several days after the fighting tournament, the do-or-die battle involving the Investigation Team and the Shadow Operatives. The two groups investigate who is the mastermind behind it all. Suddenly, at Yasoinaba, the Mayonaka TV again goes live! "All-out war, outbreaks-kuma!" The supreme ruler Teddie appears again with a boisterous announcement. The footage is an announcement of the the fighting tournament P-1 CLIMAX, now with 200% more absurdity! Along with the announcement, the surroundings of Yasoinaba completely change. 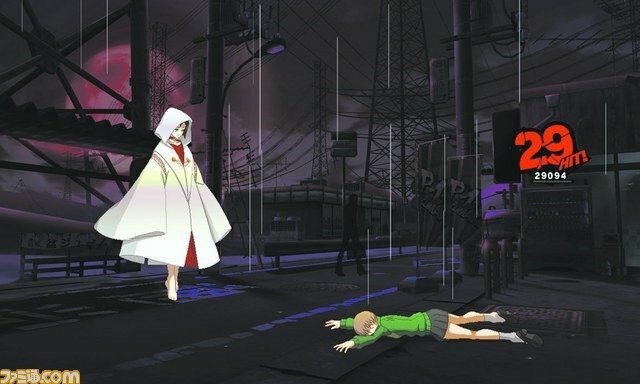 Space-time warps, people vanish, and the sudden appearance of a red fog has transformed the streets of Inaba into something bizarre. Yasoinaba has become just like the alternate dimension inside the TV. 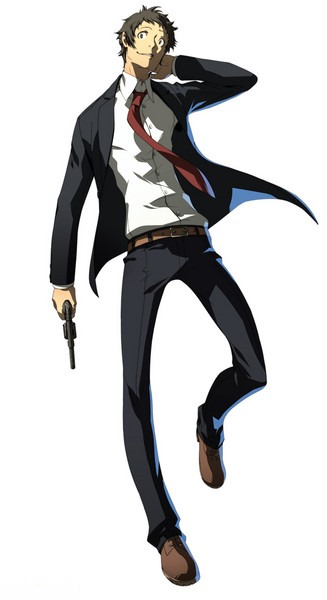 What's more, the Investigation Team finds Mitsuru and the others crucified on Mayonaka TV. The Investigation Team sets out to solve the situation. In order to save Mitsuru and the others, the Shadow Operative rescue unit is also urgently dispatched! Standing in their way is the Shadow army! Just who are the masterminds behind this, and what are their goals...!? 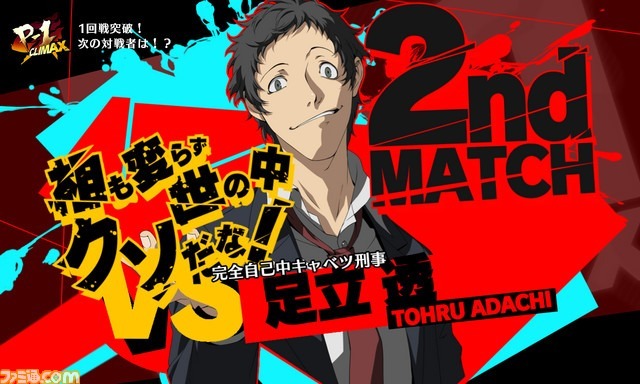 Just who does Adachi think he is? ...The Joker? 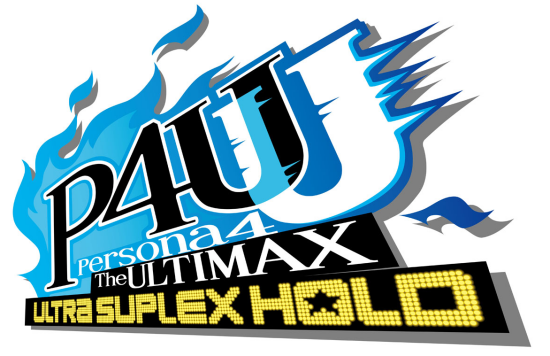 REVIEW: Quite possibly the "manliest" title in fighting game history... Persona 4: The Ultimax Ultra Suplex Hold (or P4A: Ultimax for short, if you wanna be a wimp) is the sequel to the original Persona 4 Arena. 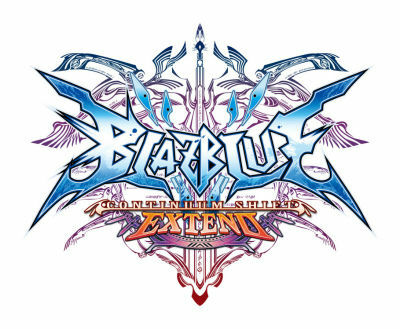 Thankfully, this upgraded installment definitely earns its title as a "sequel" by featuring a rather impressive 8 new playable characters (3 are DLC after launch, but still). 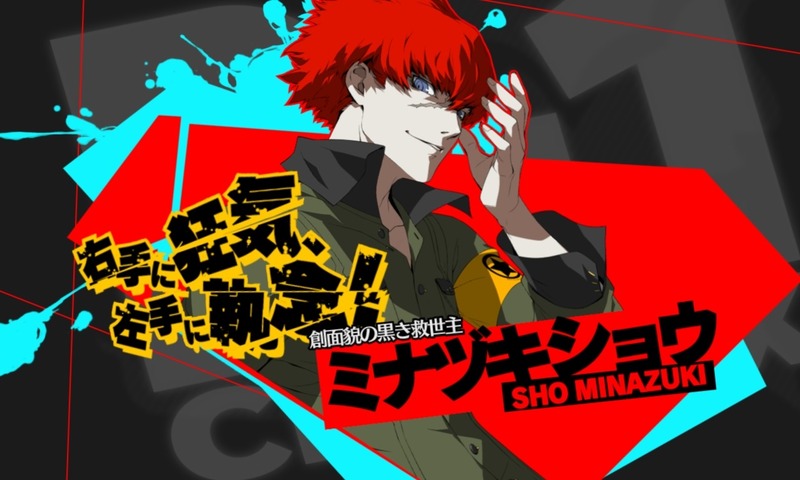 The newcomers in Ultimax include fan-favorites from both the Persona 3 and Persona 4 RPG titles, along with a brand new character named Sho Minazuki (who actually has 2 playable versions). All in all, the colorful new fighters round out the vibrant cast of high school heroes, offering a plethora of entertaining moves, abilities and insane combos. 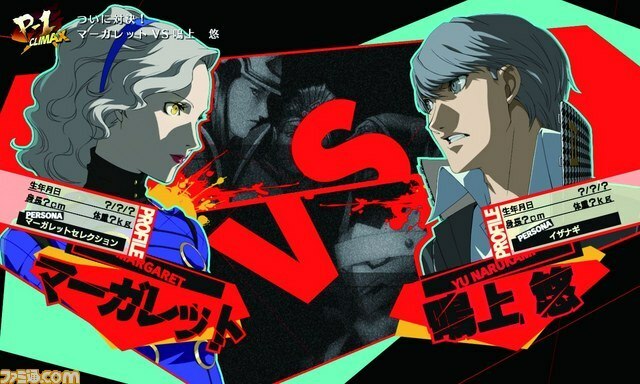 If you're already a fan of the immersive and extensive Persona 4 series, you'll need to play this game for the fan service alone... because there's a ton packed onto the disc. 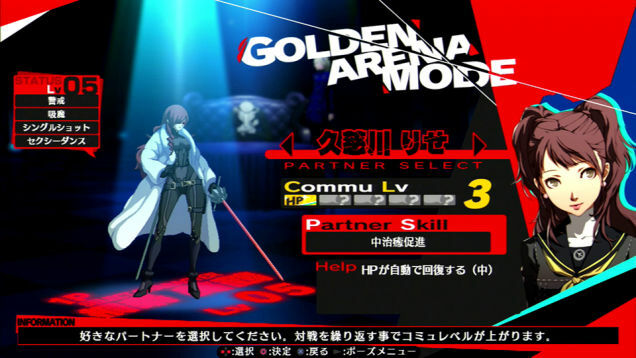 From the RPG-like Golden Arena Mode (which cleverly has your character level up in the exact same style as the P4 RPG - giving them new in-game abilities), to the vast collection of memorable music tracks from the RPG titles (which you can set to play on the main menu and in various modes), to the insane amount of unique spoken dialogue between characters. Two words: FAN SERVICE. *Applause* The amount of in-game artwork is also staggering, especially considering there are both normal & shadow versions of characters... and damn, the art style never looked better or more polished. 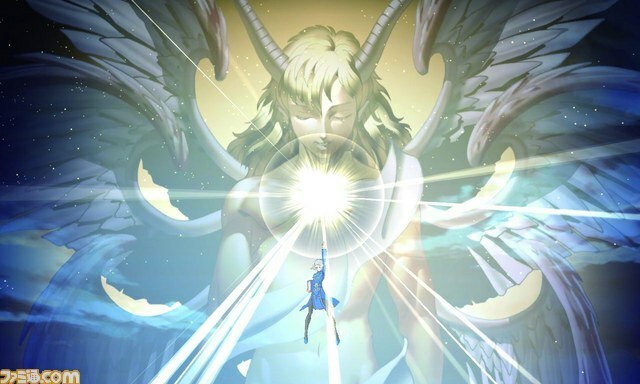 There's hardly a second playing P4A Ultimax when there isn't trippy, sharp-enough-to-cut-your-eyes artwork flying around all over the screen. 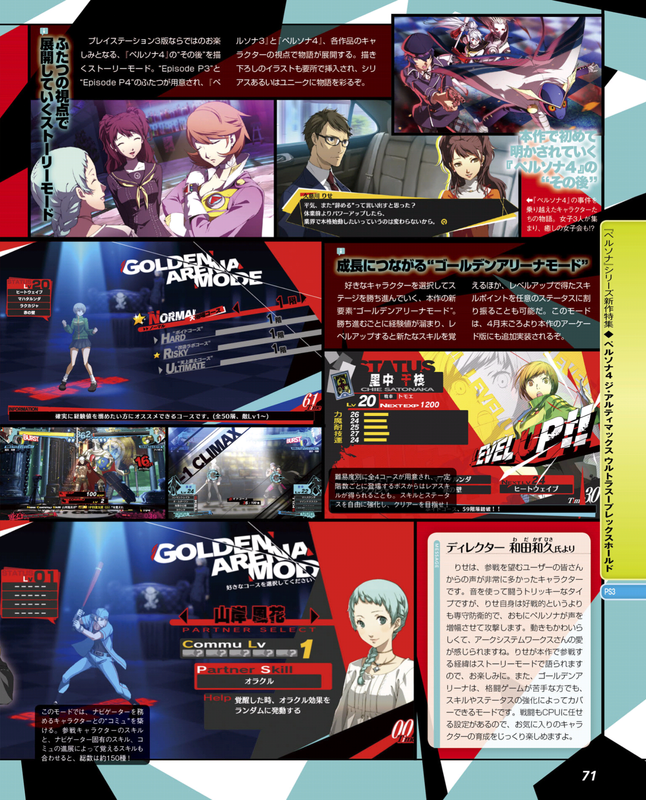 The entire game and all the menus are also done in that slick, retro Persona style. 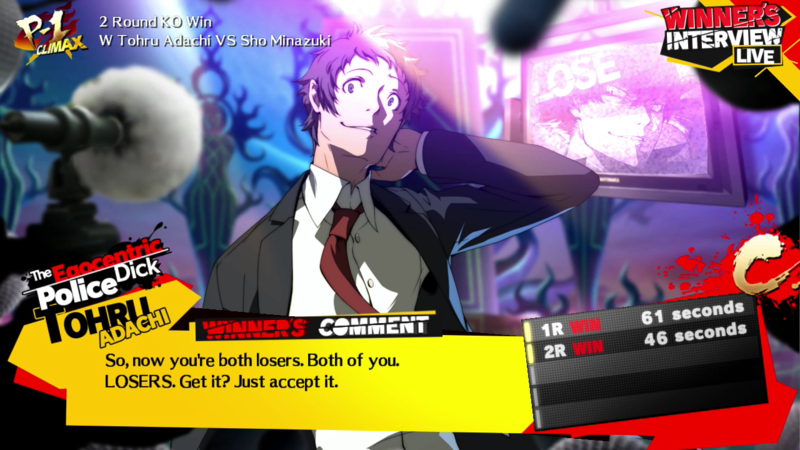 Ultimax certainly isn't lacking personality... and sometimes PERSONAlity can go a long way in a fighting game. 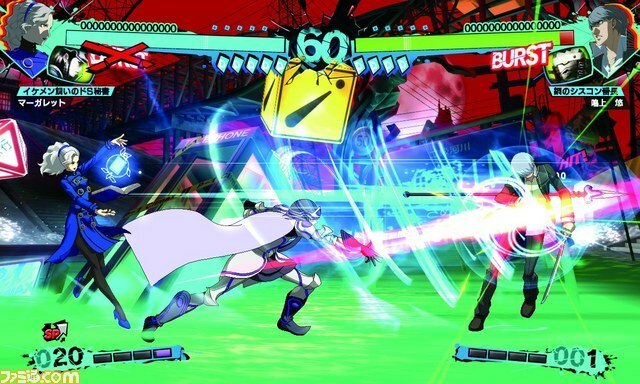 No worries if you passed up the first Persona 4 fighting game or if you're not even a fan of Persona... you can jump right into Ultimax and start having fun. Of course, playing the RPGs and knowing a little bit about the characters will greatly enhance your enjoyment of the title, but it's actually not required. If you dig the vibrant "anime" look of this game, the basic gameplay engine is considerably intuitive and easy to get into. 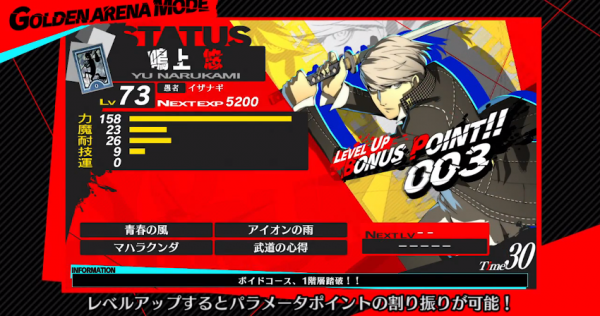 If you're into studying up, Ultimax's solid Tutorial mode and character-specific challenges will get you up to speed. 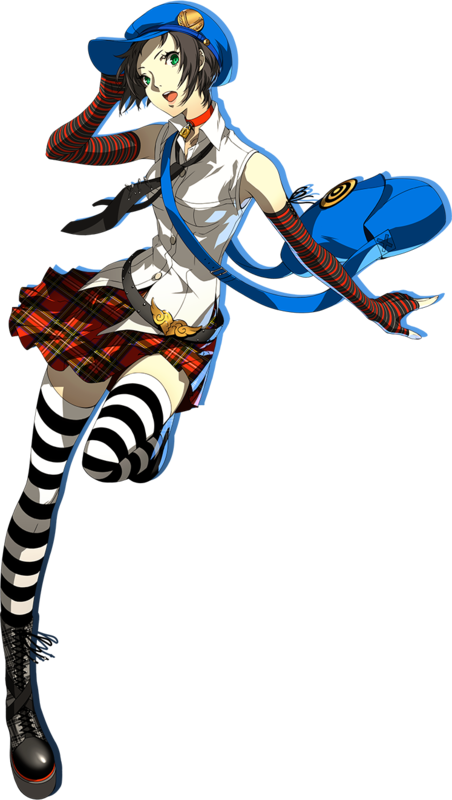 And of course, beginners can still mash 1-button and make their character do awesome things (yay Auto-Combos); but to its credit, P4U's gameplay depth is definitely respectable and worth a real shake. 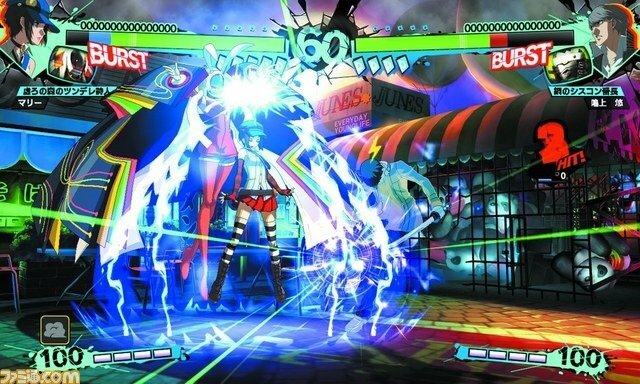 Mastering this game requires about as much practice as any top fighting game of today. The stylish air combos you can pull off, and the hilarious presentation you get after winning (or losing) make it a rewarding title to put time into. Looks like Teddie isn't much a fan of the new chick.... LOL @ his face. 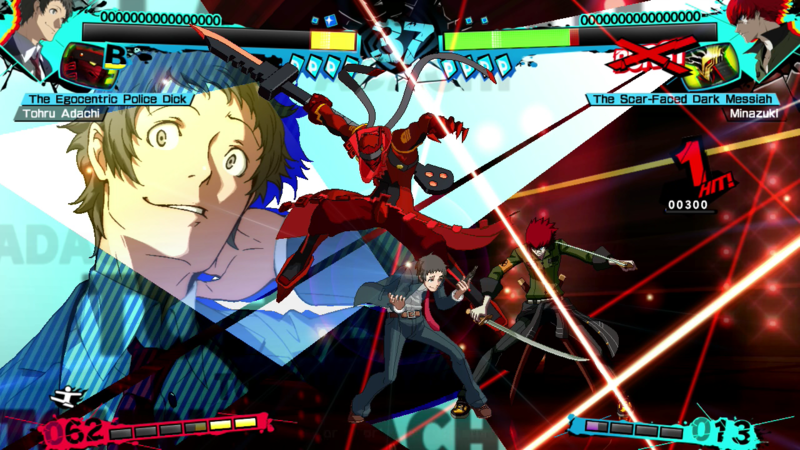 All gameplay systems from the original P4A have returned. 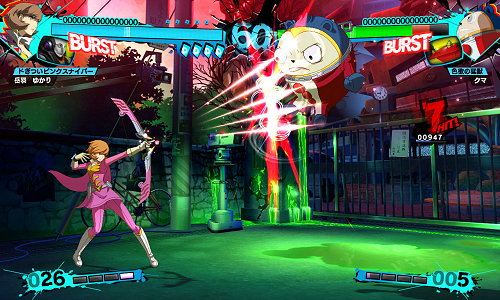 Enhancements to the core gameplay include the "S Hold System" and updated Auto-Combos. S Hold System is brand new to the series. When holding a button, a special gauge will appear. When the player releases the button depending on the amount of the meter built, they can unleash a variety of skills. The longer the button is held, the more powerful the skills. 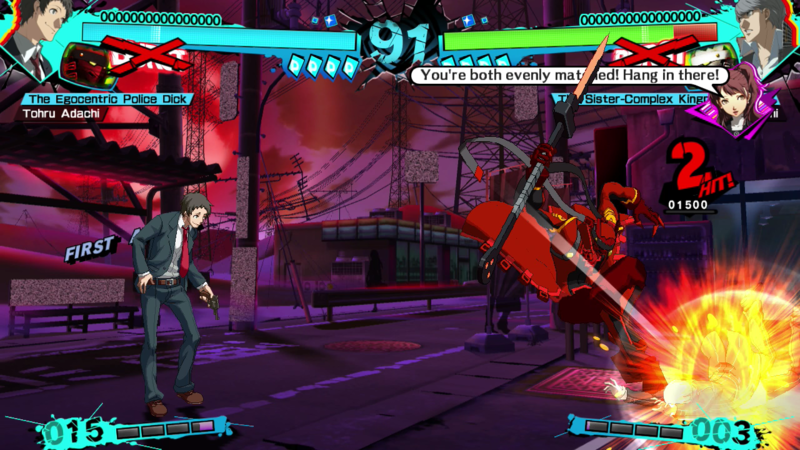 Auto-Combos now offer a bit more variety and mix-up possibilities than before, which is actually nice if you're not planning on being a super serious tournament-level player. On that note, players who do put the time in and learn the combos and the engine to the fullest can still get the jump on any Auto-Combo spam-monster. 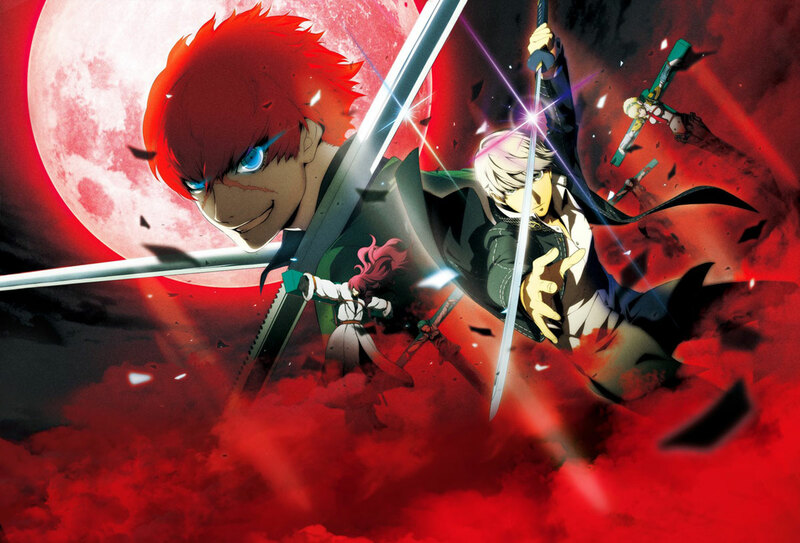 Despite the ridiculous (and possibly intimidating) number of gameplay systems featured in Ultimax, it's actually a pretty good fighting game for beginners. 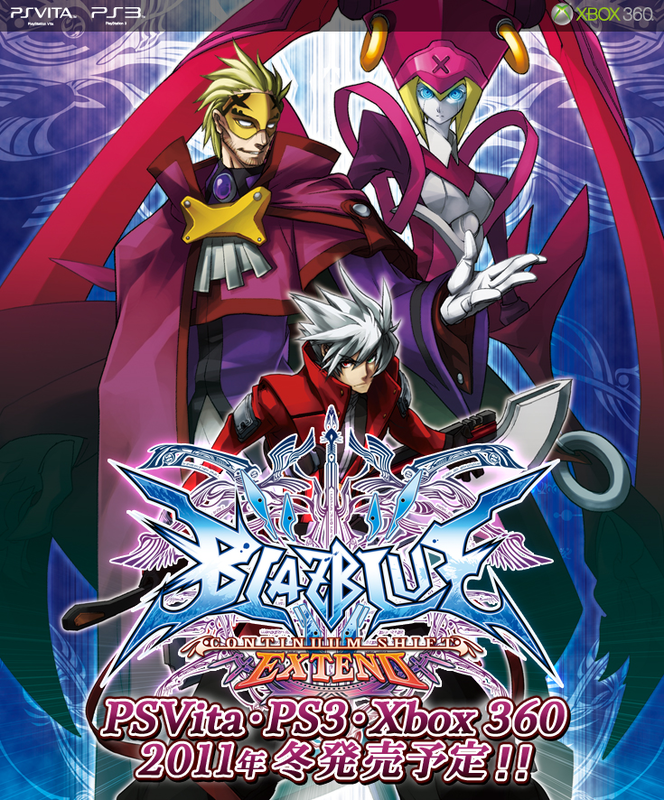 All in all, the game contains and promotes solid fighting game fundamentals (outside of those Auto-Combos, of course). 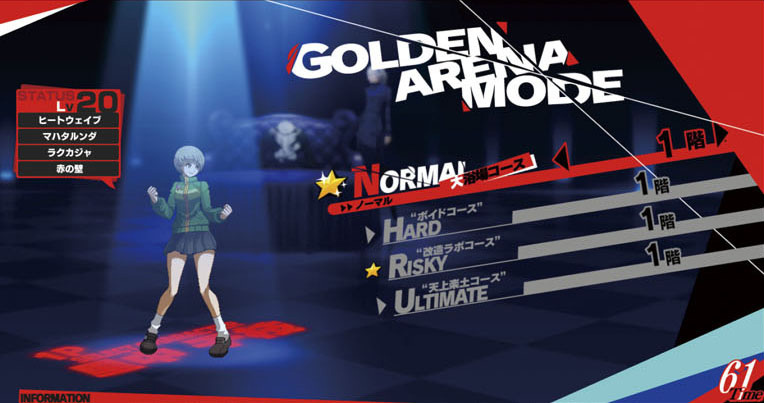 Persona 4 Arena: Ultimax also introduces new "Shadow type" versions of characters, each offering a different style of play than the original character. 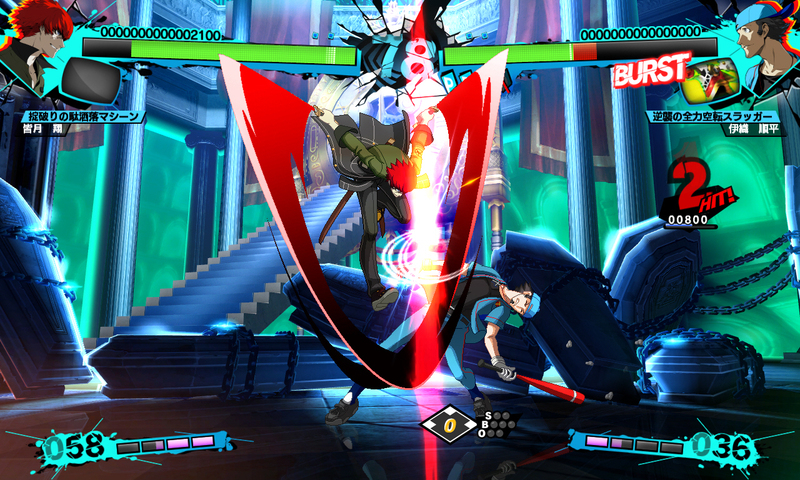 Shadow types can build up their SP Gauge quicker when attacking. In exchange, they lose certain abilities like Bursts and Awakening, making them high-risk, high-return. 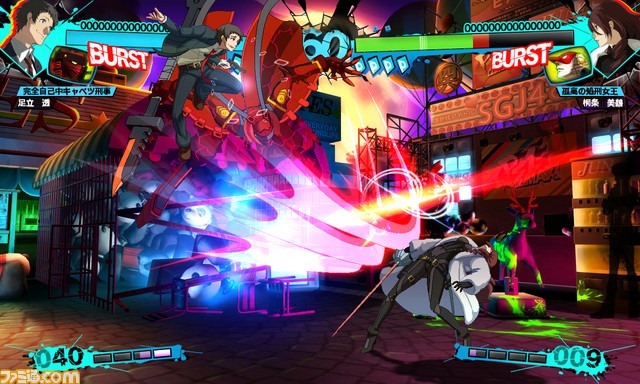 After certain conditions are fulfilled, they have access to "Shadow Fury" which allows them to freely use SP skills for a brief period of time. 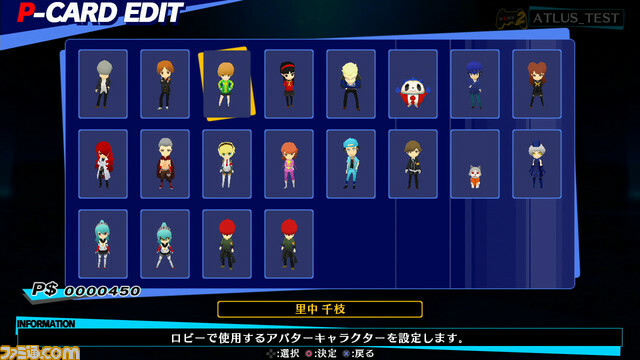 Nearly all characters in the game have a "Shadow" version, but there are a few without. 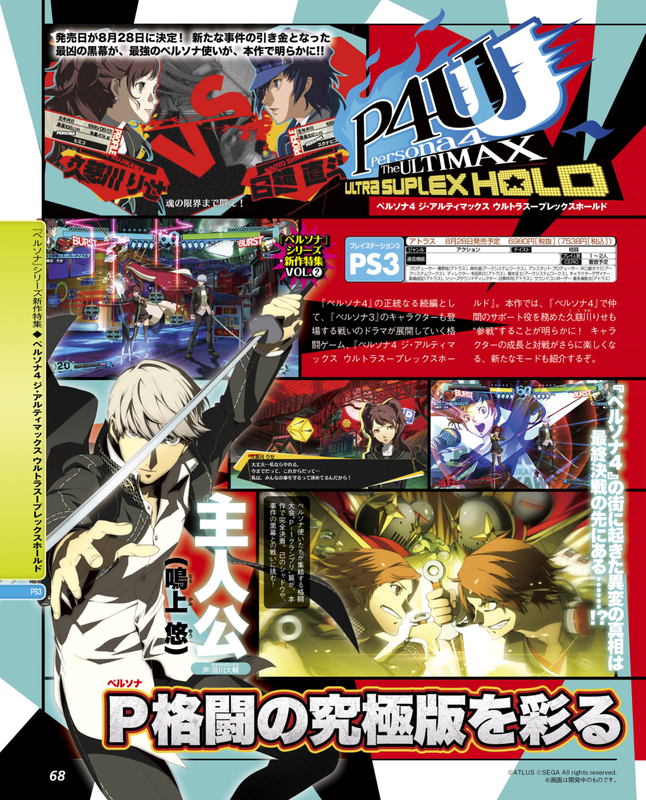 One of P4A: Ultimax's major enhancements is the new & improved online mode, featuring new battle lobbies with tons of... PERSONAlity. 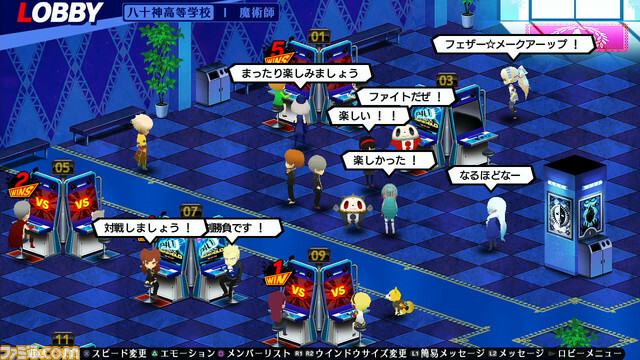 Players can select their own character avatars which are based on every character in the game (complete with color palette options), and meet up with other players in "arcade style" battle lobbies. 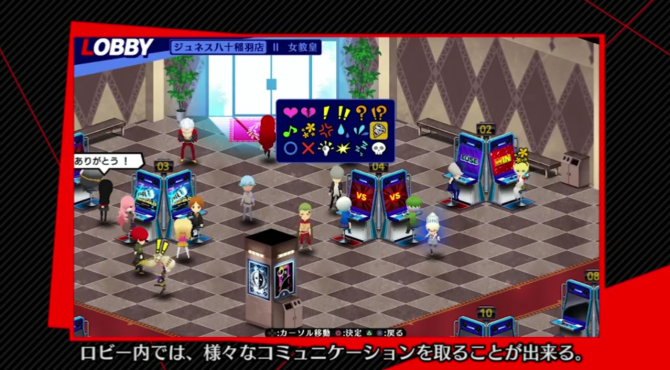 Basically, you can run around with your avatar, check out other players, and once you get tired of that, you can walk up to an arcade machine and challenge someone to a match or two (or sit down at a machine and patiently wait for a challenger). No, it's not necessary... but it's clearly got some heart. You also have various emoticons that your avatar can express along with quick comments (like "good game" and such) at your disposal to easily communicate with others in the room. While it's a cool novelty, I wish there were more things to do (mini games maybe?) and places to check out besides different-colored arcades with the same decorations. Anyhow, if you don't want to bother with the cute battle lobbies, you can still do online Ranked & Player matchmaking the old fashioned way. 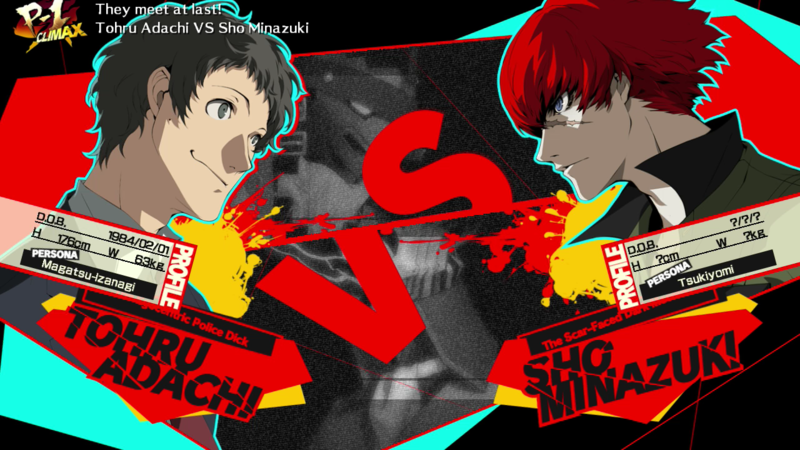 In general, P4AU's netcode seems like a mixed bag... I've experienced a mix of smooth to very laggy online matches. You can also easily save replays and watch them with some handy options, including frame-by-frame playback. 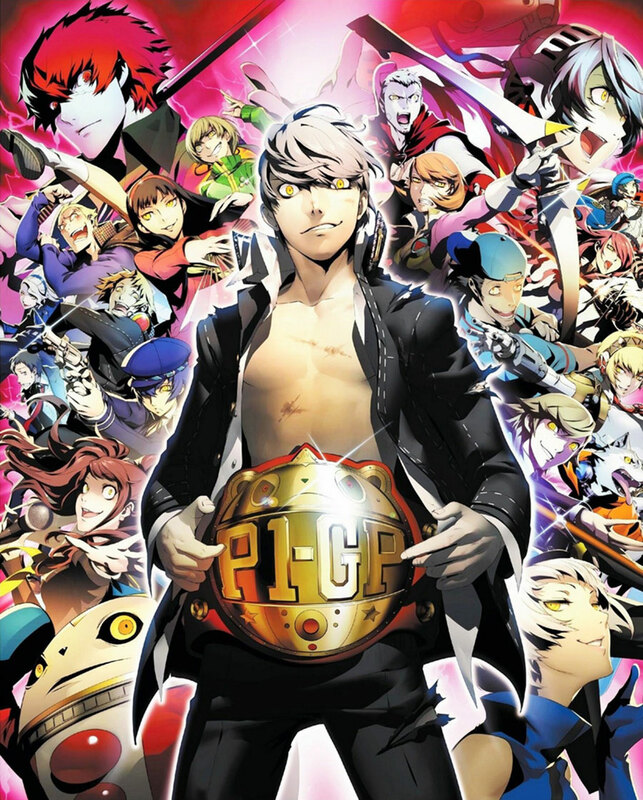 Final Words: Persona 4 Arena: Ultimax retains its spot as one of the most aesthetically pleasing and flashy 2D fighting games to date. Any level of gamer can jump in and start doing crazy moves & combos. 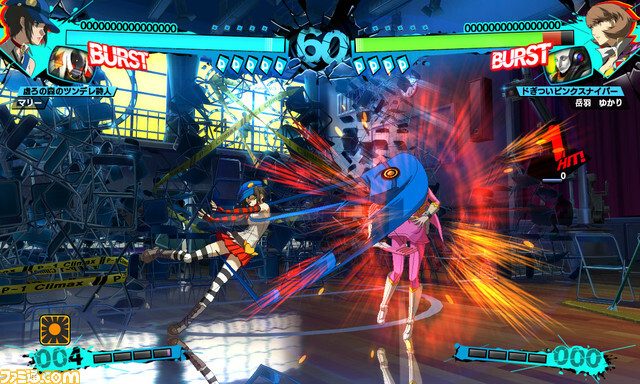 P4AU's accessibility, humor, and trademark style make it one of the top anime fighting games on the market. 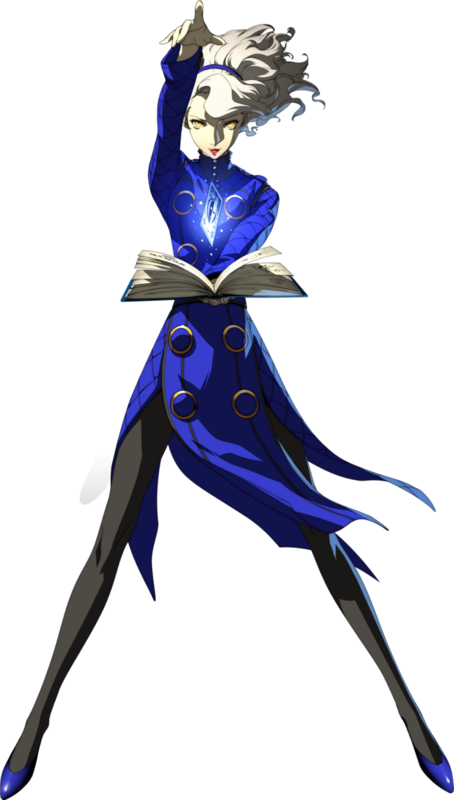 Even if you'd say you're not into "anime" fighting games so much, there more than likely will be something about P4AU that will appeal to the 2D fighting game lover in you... (if you have that sort of thing, which you should). Not many fighting games have such a vibrant, drawn-out story behind them (and it kinda makes me wish fighting games based on RPGs were "a thing" back in the heyday of Japanese RPGs. I for one would've loved a through-and-through 2D fighting game based on Final Fantasy VII or VIII). 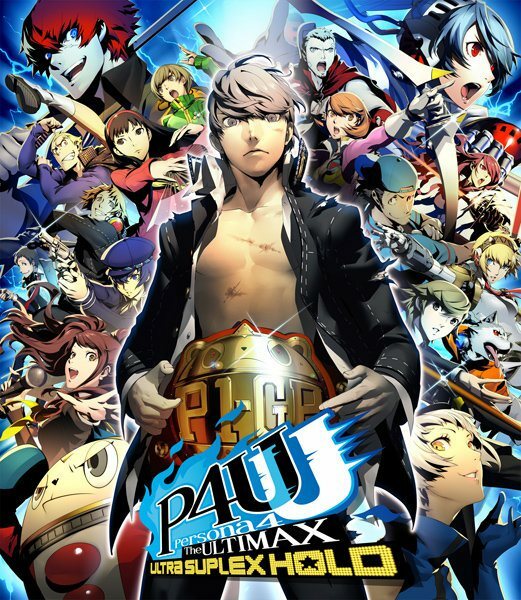 P4A/Ultimax is technically a "sequel" to the events of the original Persona 4 story, so even non-fighting game players can enjoy this game on a more casual level... and that's actually something to remark about. More fighting games should try to appeal to a casual audience and offer a presentation that gamers of all types can enjoy. 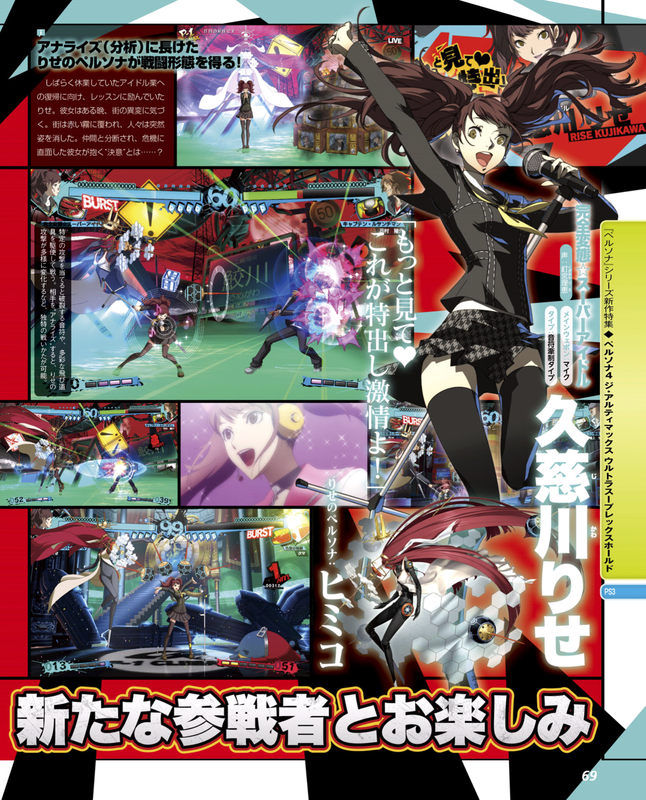 But at its heart, it's still definitely a fighting game. 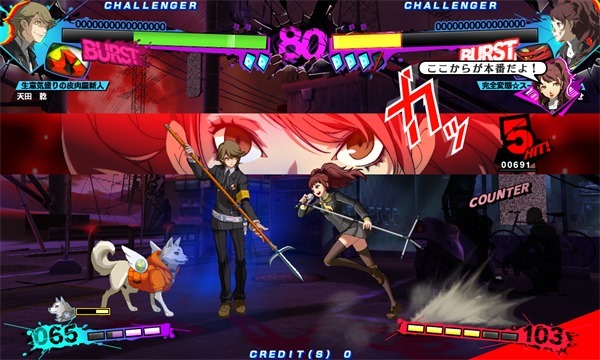 The mission that started in the original P4A is now extremely polished and seemingly "complete" in Ultimax. 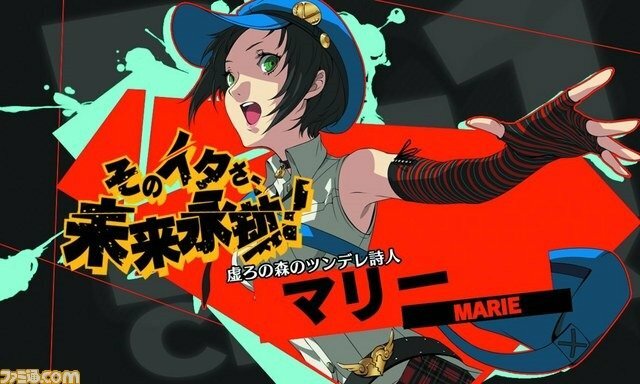 Bringing such a cool variety of Persona characters together for a fighting game and looking awesome doing so was clearly that mission... and Arc System Works really couldn't have done much better in that regard. 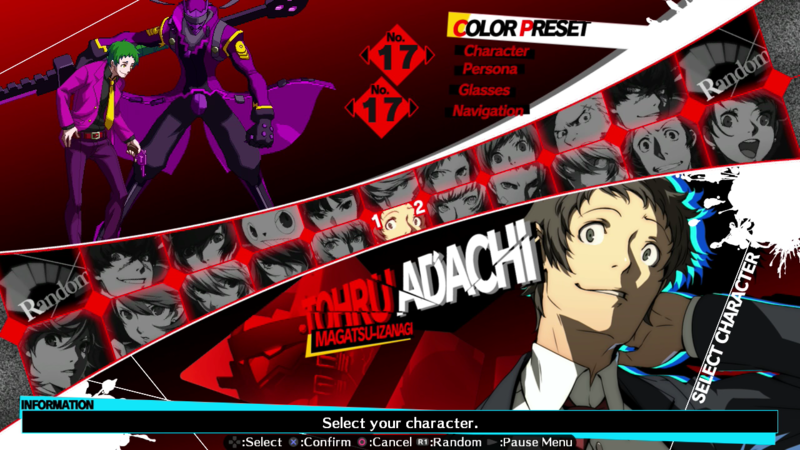 Outside of ASW-made games, you'd be hard pressed to find a fighting game with as much style and personality as P4AU. I think some other "anime" fighting games might take themselves a bit too seriously at times, or they boast way too many female archetypes with not enough variety. 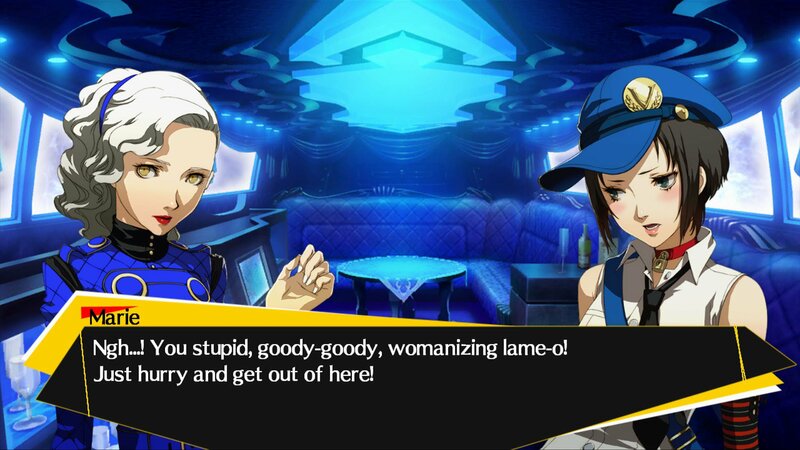 P4AU definitely offers great character variety, and the game is filled with quirky humor and all-around coolness factor. 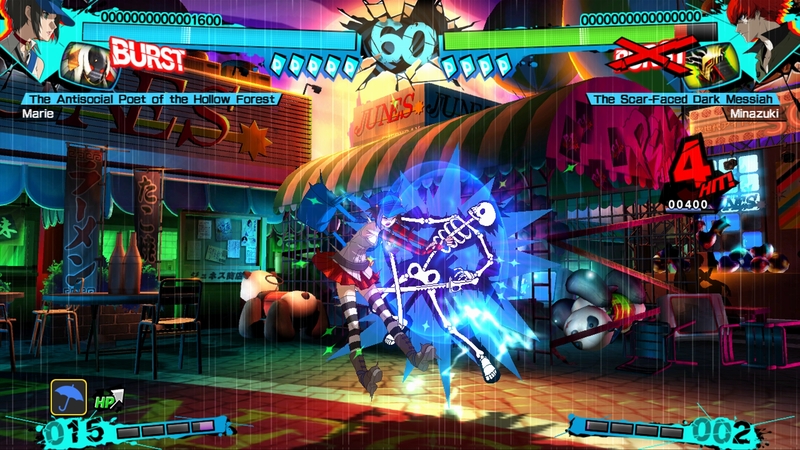 It's also a beautiful sprite-based 2D fighting game here in 2014... Long live 2D. 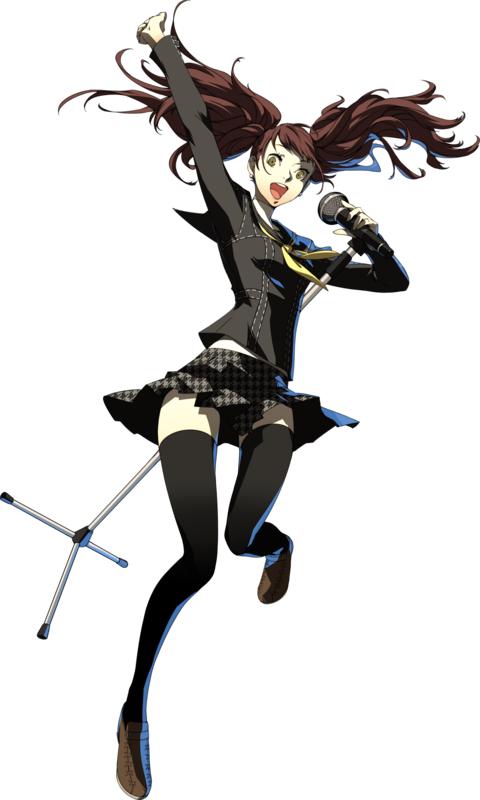 But beware: If you're at all "sensitive" to bright colors flying around all over the screen, you'll probably have a seizure or two while playing P4AU. Otherwise, you're in for some constant eye candy and might even get a high from it. 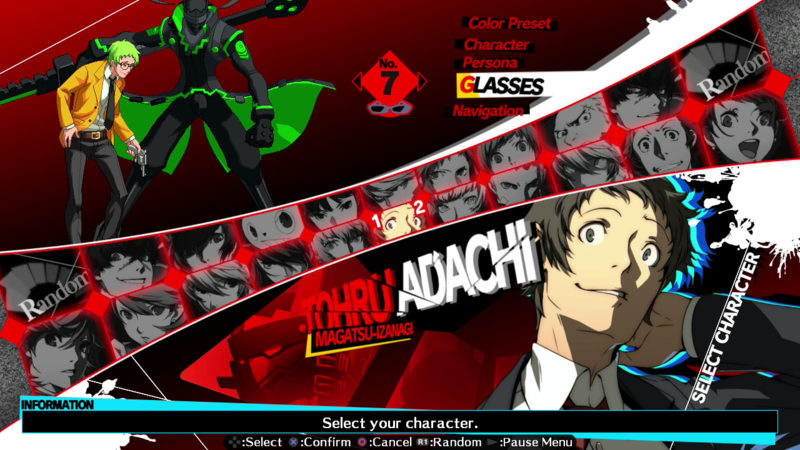 Also, I must add that Ultimax looks especially awesome when playing on a larger HDTV (the one I'm using is 40"). Those glorious pixels... are glorious. Even though "floaty / air-dash happy" fighting games aren't usually my thing, I find P4AU to be a pretty fun game. A lot of the characters are to my liking, too. My only minor gripes are some of the completely "oddball" special moves & animations. While some fighters have cool martial arts techniques (and such), others have joke-like special moves, which can make it difficult to tell what they're actually doing considering the pace of the game. 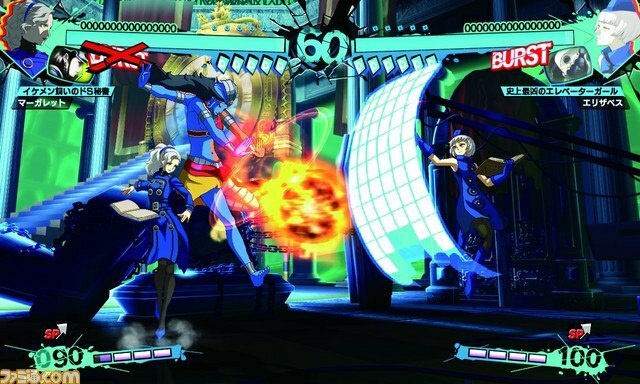 Rather than feeling like you're controlling a "human" fighting, at times, characters look and feel like bulky shapes or "blobs" moving around on the screen during their special moves (like big hitboxes). 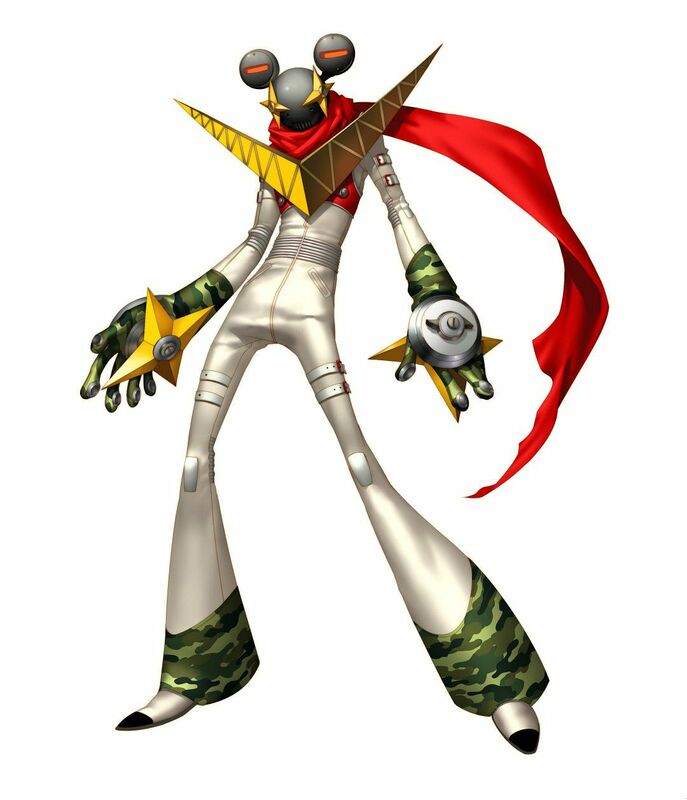 Furthermore, controlling each character's (usually) giant Persona is another nuance to get used to. Controlling onscreen "space" in this way is a common quirk of many anime fighting games, and it might not irk you as much as it does me. Personally, I like fighting with human figures that stay shaped like humans... for the most part.